Gamers worldwide look forward to Steam’s major sales every year, and this year is no exception. After all, Steam’s Christmas sale attract millions of video game fans worldwide every year, ready to pick up the hottest games at discounted prices. And even if it can be argued that the Steam sales are not so great, the temptation to get hold of a bunch of games once the sales kick off has always been hard to resist, even if inevitably a sizeable portion of people’s collection of digital games will end up getting digital dust and go unplayed. This could be especially true this year, if as rumoured Steam’s exciting flash sales make a return. 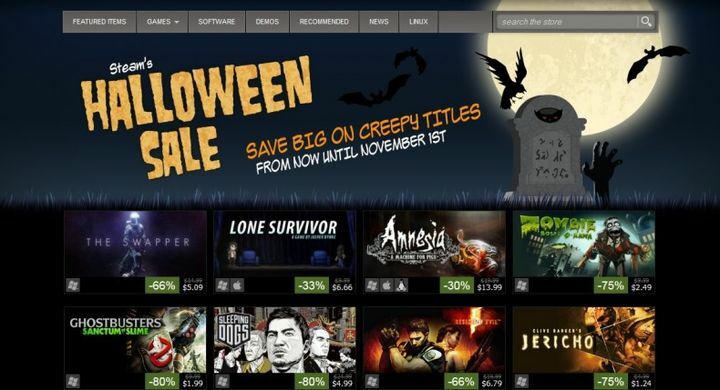 Nonetheless, those eager to partake in another Steam sale are in luck, as according to a recent leak, it appears Steam’s Halloween sale is now very close, and will kick off on October 29th next week. This is according to one Twitter user, who has seemingly learnt of the start and end dates for Steam’s Halloween, Autumn and Winter sales of 2018 via a developer forum, as reported on gaming website VG24/7. According to the leaker, Steam’s Halloween sale kicks off on October 29th and ends on November 1st, while the 2018 Autumn sale will run from November 21st to November 27th. Meanwhile, the Winter sale gets started on December 20th, and lasts until January 3rd. This will surely be an excuse for users to prep their Steam wallets for these upcoming sales, especially the big Halloween sale launching next week according to this leak. So it would be a great thing then, if these upcoming sales turn out to be great, and gamers have a great experience shopping on Steam this year too.